Someone remind who the protagonist of this story is. I think that this fast travelling stuff that was mentioned this chapter maybe important in the future. I believe that Griffith could use that fast travel method to move an attack force to or near Elf Island. Remember, one of his major goals is to destroy all the spirit trees. That includes the one on Elf Island, which is why I believe that he will attack the island maybe using that fast travel method. I don't think Griffith will attack Elf Island at least anytime soon, but Griffith going after other mythical creatures is interesting, perhaps it'll be possible allies for a anti-Griffith faction. those poor giants, is there anyone Giffih won't hurt? This on hiatus again? When does it end? Kentaro Miura's Berserk has horrified and delighted fans since 1989. 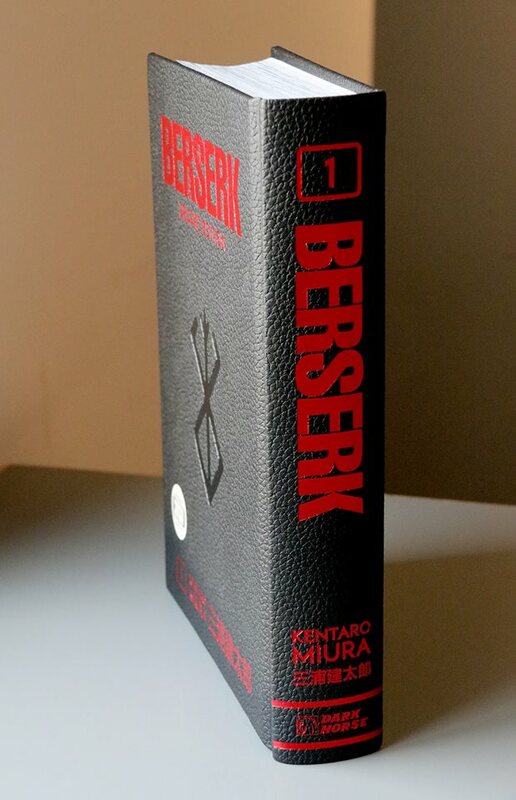 Now, the first three Berserk volumes are collected in an oversized deluxe hardcover edition, totaling nearly 700 pages. BERSERK DELUXE EDITION VOL. 1 HC: https://bit.ly/2DcSTz2 - in comic shops now! Good news. Chapter 358 is expected to come out April 26. Nice! I was just wondering the other day that it should be soon that Berserk comes back for a handful of chapters. Hopefully Miura decides to follow up on the Casca story and not go focus on someone else again. To finally heal her and then leave us all hanging with her big reunion with Guts was such a troll move, lol. While I am with you, Shin - I too wanna see Guts and Casca too - it wouldn't surprise me if Miura stuck with Griffith for a few more chapters or even segue over to Rickert's situation before heading over finally to Guts again tbh. I don't mind this Griffith focus for now, so long as it leads into his eventual attack of Elf Island and the start of the endgame stage of this series. Watch him focus on Griffith and others and in the last chapter he jumps back to Casca and she has moved 2 feet since we last saw her and we will have to wait through another hiatus, lol.